Turning our garden into a floral haven with billowing shrubs and a cacophony of colored petals, herbs on one side and shrubs on the other, is challenging enough, what with violent weather and harmful bugs getting in the way. Adding a curious kid to the challenges of gardening will only make it more difficult for you to keep your garden healthy and growing. While forbidding your kid from playing in the garden is a quick fix, doing so will only make your child want to go out there even more. It is only by making your kid realize the work a garden entails and the rewards that come with it that your child can start being more cautious of your outdoor space. 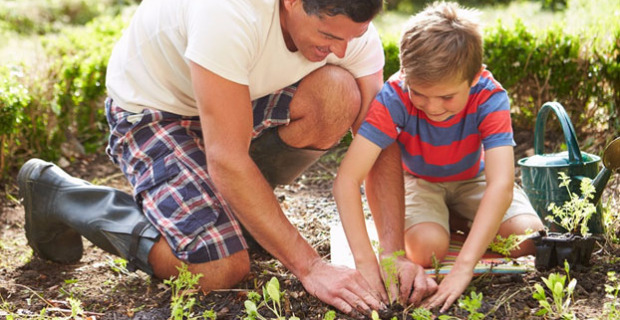 Using that insatiable curiosity inside your kid, here are some of the best ways you can protect your garden from your kid. Your kid will switch off if you go on a long speech on the principles of gardening. The best way to get your kid to become more cautious is by getting your child outside, working with you. If your kid is at that stage where phones and tablets are exciting, then allow your child to use these gadgets to learn more about gardening. Take the lesson outside and have your kid google questions on the plants you are working on. There are many helpful articles on gardening online for your kid and for you to learn things that could make or break your garden. For instance, what to do when you spot mealybugs on your plants or when you spot holes in your leaves. Tying up with the former point, you can also have your kid monitor your plants’ progress, watering, nutrients given and other notes on a gardening app, so they will be more aware of the progress going on and less willing to do any damage. An effective way of getting your kid to avoid certain areas in your garden is by having your child help you to create labels and fences. Paint the names of the produce and plants you are growing and place these labels in front of the assigned garden bed for your kid to know that this area is off limits. You can also get your child to help you build a fence with wood or rocks to mark the area as off bounds. You will not be gardening every day but you can use the weather as a reminder for your kid to stay cautious when playing outside. Have your child monitor the weather and together, figure out if it will be too windy or just right for your garden. Most kids love bugs but not all bugs are good for plants. Have your kid respect the bugs you find in the garden and together, with the help of online articles, learn whether the bug you found will cause harm to your plants or if it is a good bug. 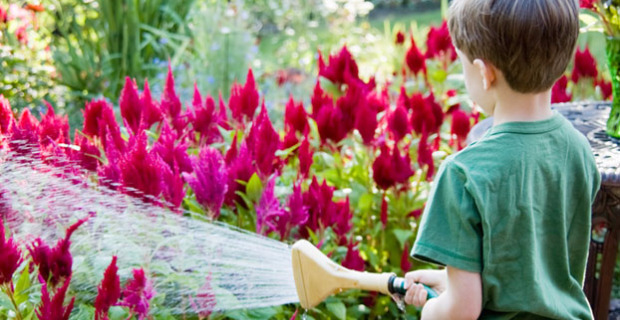 Your kid is more likely to protect the garden if you allow your child to grow some of his or her favorite plants. Let your kid choose some of the flowers or vegetables to grow, so that caring for the garden will be even more of a priority. Finally, grow your own vegetables in your garden. Herbs for their sandwiches, tomatoes, lettuce and corn, these are some of the things you can grow in your garden and in doing so, you would be showing your kid that dinner would not be complete without the garden being well taken care of.